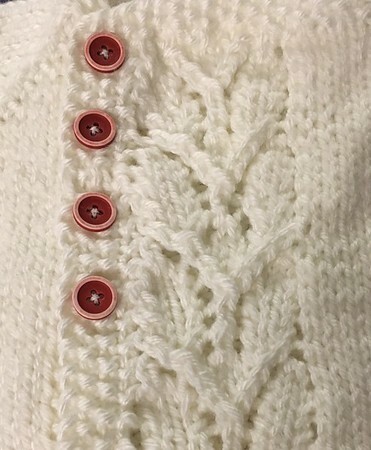 Lace and button detail of my latest knitting project. 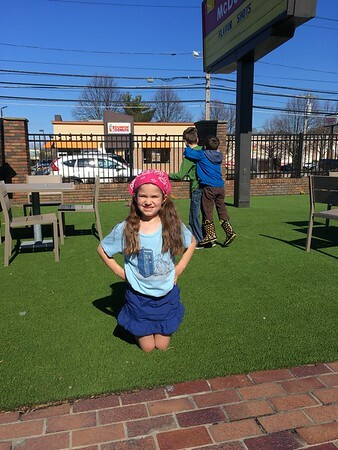 This entry was posted in 2017 Pic a Day on April 29, 2017 by Rebecca. For about 25% of our time at the park today Esme worked on that fun trick of tossing the hula hoop out and getting it to come back to you. She definitely improved as time went on. Those looking closely can see that Uncle Corey’s “concentration tongue” is being well employed. This entry was posted in 2017 Pic a Day on April 28, 2017 by Rebecca. But I also like how our friends are being so brotherly in the background! 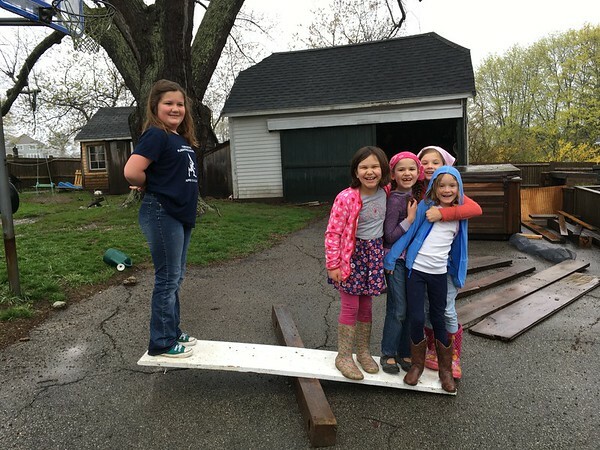 Today we learned that three small girls are equal to one Catherine, but when you add a fourth, the scale tips! This entry was posted in 2017 Pic a Day on April 26, 2017 by Rebecca. 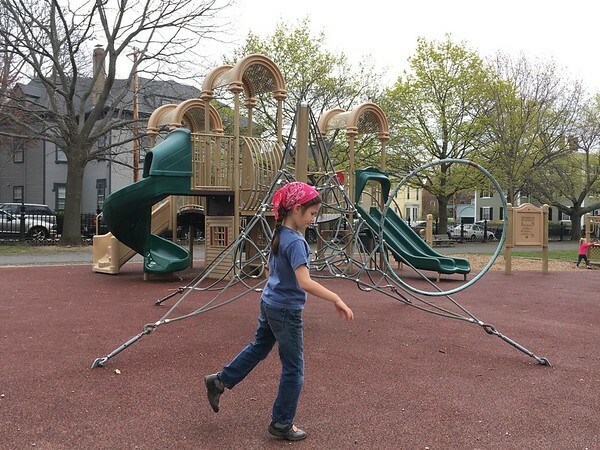 This entry was posted in 2017 Pic a Day on April 25, 2017 by Rebecca. 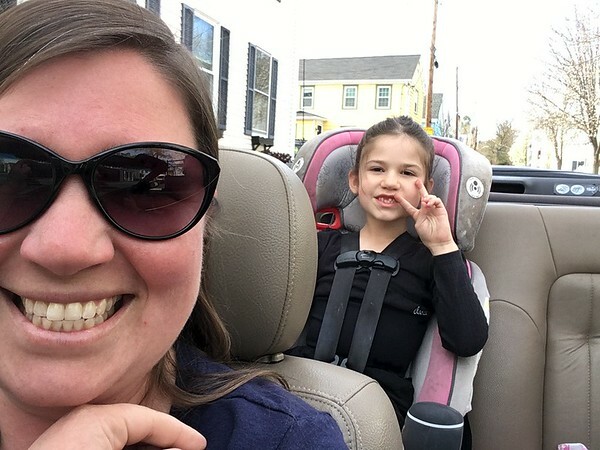 Esme, riding in convertible style to dance class! Thanks, Grandpa! 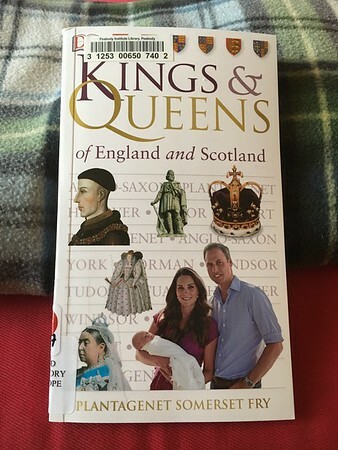 I’m not sure what amuses me more about this book cover- that Will and Kate are neither King nor Queen yet have the largest portrait on the cover, or the amazing name of the author! 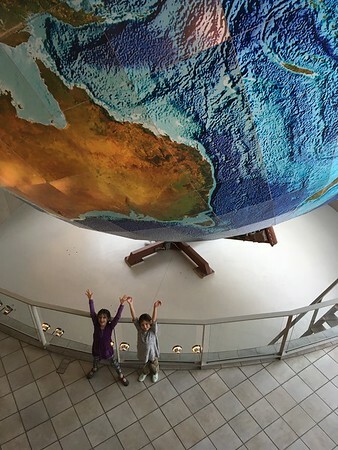 This entry was posted in 2017 Pic a Day on April 23, 2017 by Rebecca. 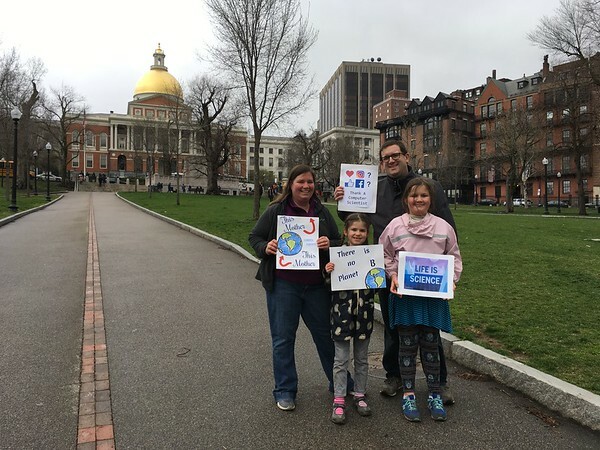 We spent a cold, wet afternoon on Boston Common today, marching for science. The crowd was a huge mass of scientists and science lovers and I was very impressed with the speakers. They brought their own stories and passions to the stage and were not afraid to approach some difficult topics. Special commendation to everyone who made clever signs. I loved reading them all! This entry was posted in 2017 Pic a Day on April 22, 2017 by Rebecca. Sign finished. 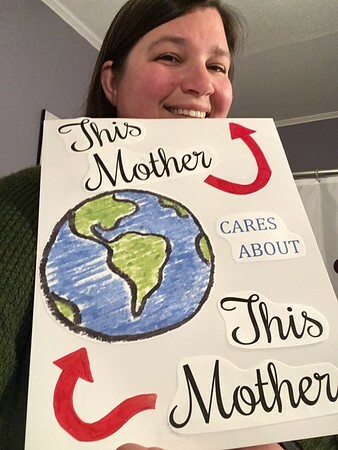 I think I’m ready for tomorrow’s March for Science. We mamas gotta stick together. This dear little bookmark fell was found tucked in our copy of the Lord of the Rings when Peter recently took it off the shelf to read to the girls. I must have used it when I (re)read the trilogy in 2001/02. 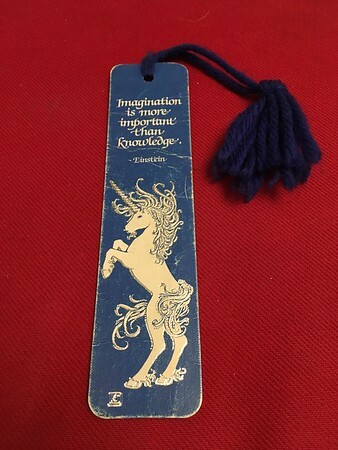 But the bookmark itself dates to much earlier than than, I’d say elementary school, late 80s. Einstein’s words are just as timely now as they ever were. This entry was posted in 2017 Pic a Day on April 20, 2017 by Rebecca.